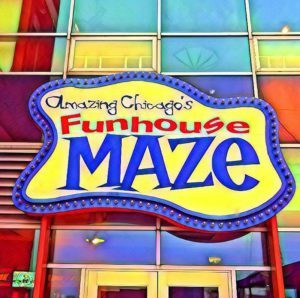 Amazing Chicago’s Funhouse Maze opens everyday at 10am. 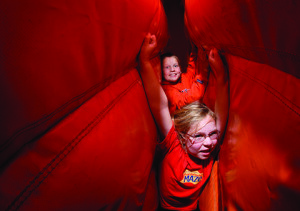 The Maze is a climate controlled, indoor attraction and we’re open all year ’round. Warning: The Maze contains intense strobe-lighting effects. People who experience adverse reactions to strobe-lighting should not enter. This attraction is not recommended for children under the age of 5. While the Maze is not intended to be scary, there are a variety of sensory elements which may be too intense for some visitors. Guests can expect to feel lost, dizzy, upward/downward movements in the floor & a sudden drop among other sensory effects while inside the Maze. Children under the age of 7 must be accompanied by a paying adult.